Welcome to August! A new month is here, so you can claim your monthly freebie foods and 2000NP! Krawk Island is still incomplete. Help Gavril McGill retrieve the floating island pieces and place them back together. There are a few variations to the Sudoku puzzle, so you may not have the same one as the example provided. Make sure to check your starting crew members before beginning the puzzle. Maybe after the island has been reformed, we will find the missing Bug Eye McGee! 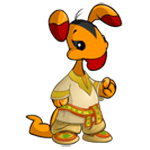 All month long, the Blumaroo - Chef Bonju avatar will be available. Have the Mad About Orange avatar as your active, then mix a Blumaroo Steak, a Gourmet Cooking For Your Pet and an Orange Juice at The Cooking Pot. Monkey Quest has a promotional offer giving a one month membership to anyone who redeems a $25 Nickelodeon Game Card purchased at Toys R Us. Redeem the card before August 8th to receive the one month membership, 500 bonus NC and an exclusive virtual item. Our content team has been hard at work with new guides and articles to help Neopians better understand the site and games. Here are some recent additions you may have missed! Class is about to begin in Economics 101. The Neopian economy can be very confusing; this article explains why some items are deemed super expensive, while others are very common and cheap. The Faerie Caverns is a new daily activity. Perhaps you will find something special hidden in the caverns after reviewing this article. The Neopets Magazine is no longer published, but if you didn't have a chance to pick up a copy, you can still get the inside scoop reading this article. Wondering what happens to old and abandoned accounts? Learn more in our Account Purges article. You and your friends bored on a Saturday night? Then pull out those TCG cards and challenge them to a game! If you own the PC or Wii version of Puzzle Adventures then this article is for you! Ever wonder how many Faerieland jobs you have to complete to earn a job rank? We have added job ranking titles to the Faerieland Employment Agency article. Are you Ready to Roll? If you are looking to get a higher score in this game, you might want to take it slow. Check out the tips provided in this guide. Haven't you always wanted to run a successful restaurant? The Island Chef Academy guide is a great way to learn how to be an excellent chef. If you enjoyed the first one, you will surely enjoy Shenkuu Warrior II. This guide will take you to new heights, check it out now! This extremely well hidden and expensive wheel will grant rare items and an avatar. Learn how to be a 'High Roller' at the Wheel of Extravagance. We opened the Museum nearly one year ago. Neopia is constantly evolving and growing, and we have many plans for expanding the Museum. One of our latest articles is the History of Royal Pets. What culture does your royal pet come from? Donations: Help us reach our yearly goal! 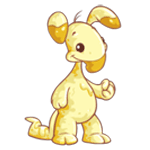 We are coming up on our 7th year of bringing you ad-free Neopets help. Donating to JN means better uptime and dependable service to our users. We strive every year to improve our content and bring you the things you want most. All donations go straight to the cost of our host, and we do not see a penny of it. Donating will even earn you a special trophy for your jnAccount. The August NC Mall Wit & Wizardry collectible features Jerdana. This item will only be available in the NC Mall during the month of August! Ahoy, what's that o'er there? It be another smiley fer the Neoboards! New Quarter Master emote can be used on the Neoboards! All game data will be reset. All items purchased with Facebook Credits (FC) will be refunded to your Vault. Shop expansions purchased with FC will also be retained. These will appear in your Vault after the data wipe and will never be made available to anyone outside the Closed Beta pool. Be sure to check back in the forums for additional announcements and updates. Thanks again for your continued support! All Treasure Keepers closed beta testers can now redeem prizes for completing quests and achievements. You can now unlock a Treasure Keepers site theme. To unlock the theme, visit the achievements page and click on the code provided. Visit the Gypsy Wagon to learn more about Treasure Keepers. The storyteller's wagon is filled with treasure, and Katya grins as she gestures to her favourite trinkets. "Adventuring's quite profitable, eh? Tell you what. That's quite a story you told me. I almost half-believe it, and you should know, I only believe people half as much as they'd wish, which is twice as much as they deserve. For a story like that, though, you deserve a reward, and I aim to give you one. Just enter your code in the box below." Brilliant! Just brilliant, really. That's a whizbang tale, and no mistake. As a reward, I have some of the finest treasures this side of Kreludor in this here wagon. A code might grant you the Mysteriously Overflowing Gift Basket! New Rigger emote can be used on the Neoboards! Springabees have pollinated the NC Mall with a new Mysterious Morphing Experiment. The first stage of this mini-mme is the MiniMME7-S1:Delightful Springabeehive. Learn more about morphing experiments on our guide. Possible Stages: Tree Foreground, Background, Wings and Honeycomb Staff. New Rower emote can be used on the Neoboards! The last pirate emote can now be used on the Neoboards! Scurvy Island: Feel free to speculate on the inaccessible island marked with the Keep Out signs. It may look a lot like Scurvy Island. What do you think? It's coming! There's a bug when the page went live so the programmers are working on it. - Prize glitch is still being worked on. Hopefully fixed soon. *fingers crossed* As for info, I'll just paste what I already posted! "Yes, the daily prize and the event prizes are different. You should be awarded prizes - based on participation - the first time you go to the Governor's mansion. (They're REALLY obvious so you'll know when you get them.) Then you're given access to the daily. Right now, you're just being taken straight to the daily and skipping prizes. That's what they're working on. - If you already did the daily today, that won't affect claiming prizes. You'll still get them. And you can continue to do the daily... well, daily. Just doing some checking. Give us a few more minutes. Then we'll stick around for a bit to make sure it's really fixed. While you wait, why not answer the new survey, and let TNT know what you think of the event. You can now claim your participation prizes at the Governor's Mansion. 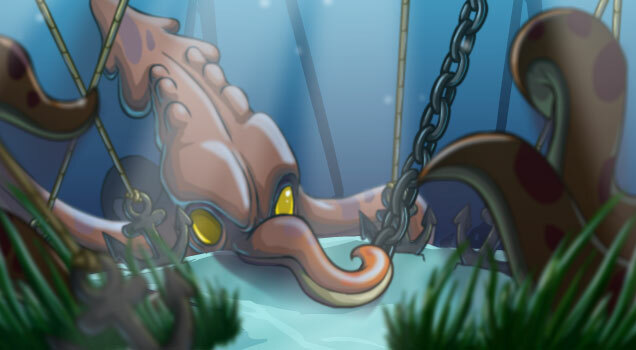 You will also unlock an avatar and the Krawk Island Site Theme! Prizes are based on your participation. For completing the tasks on the day they were released you will receive all the prizes and the site theme. You can find a list of the possible Anchor Management prizes on our guide. So, what are you waiting for? Start setting up shop, and explore Portal City! 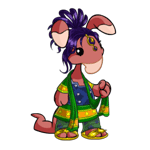 Can I log in to Treasure Keepers with my Neopets account? No, you'll have to log in to Treasure Keepers with your Facebook account. What is Treasure Keepers and how do I play it? Treasure Keepers is a brand-new Facebook game that combines shop management, item collection adventures, and Neopia all in one! 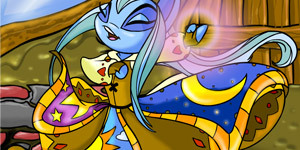 To play, click on the "Play Now" button on the main Treasure Keepers hub page on Neopets.com, which will take you to Facebook. You can also reach the game via Facebook. How do I earn codes in Treasure Keepers? Codes are given out in Treasure Keepers when you reach certain achievements, such as leveling up. To redeem a code on Neopets.com, go to the main Treasure Keepers hub page and then click on the "Redeem Code" button. That will take you to a page where you can enter your code. How long can I use a code? Do I have to be logged into Neopets to redeem a code? Yes, in order to redeem a code on Neopets.com and receive the rewards from it, you must be logged in. Sorry, you'll need a Facebook account to play Treasure Keepers. What if I lost my code? If you earned the code in Treasure Keepers, you can go back to the game on Facebook to find the code. It'll be listed with your achievements. If the code came from Neopets, try going back to the page where you found it. It should still be there. If that doesn't work, visit the Help Centre for assistance. Remember, it's always a good idea to write down your codes, just in case. What is the difference between the codes I receive on Neopets and the ones from Treasure Keepers? 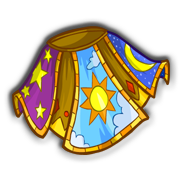 Why can't I see the Treasure Keepers Gypsy Wagon on Neopets.com? Treasure Keepers is only available to Neopets users who are 13 or older. If the birthdate attached to your Neopets account indicates that you are under 13 years of age, you won't be able to access Treasure Keepers through Neopets.com. Will Treasure Keepers be available in my language? If not, can I still play it? Sorry, Treasure Keepers is only available in English. If you'd still like to play, though, you're welcome to play in English. I entered my code, but it doesn't work. What should I do? Try entering the code again. If that doesn't work, go back to Treasure Keepers and write down the code to be sure you enter it correctly on Neopets.com. If you're still having problems after going through these steps, please contact the Help Centre for further assistance. 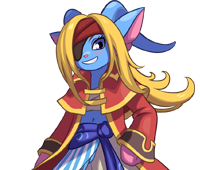 Treasure Keepers Forum Discussion: Feel free to join the Treasure Keepers discussion on the Jellyneo forums. You may find a few Neofriends to help you play the game and unlock new map areas to explore.